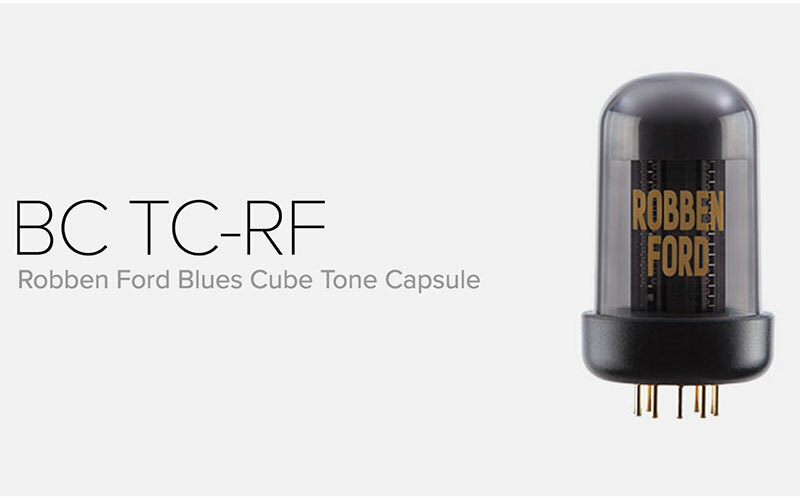 "The Robben Ford Tone Capsule brings the signature tones of the noted blues and fusion guitarist to the Roland Blues Cube amplifier series. Installable in seconds, this modification circuit changes the sound and response characteristics of the Blues Cube amps to produce the rich, creamy blues lead tone and strong presence of Robben Ford’s famous sound. In developing this Tone Capsule, Roland engineers collaborated directly with the artist himself, fine-tuning the clean and crunch channels to his personal specifications." Read more and find places to purchase at Roland.